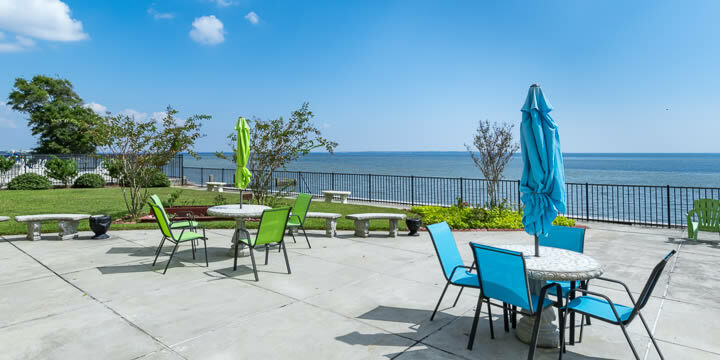 The beautiful bayfront location of The Bayshore Condominium is the first of many highlights you will notice at Pensacola’s first condo complex. 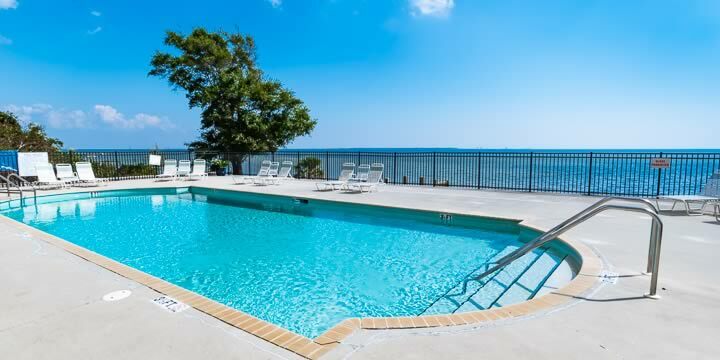 Located near the Pensacola Country Club, The Bayshore features a convenient location to downtown and offers affordable waterfront living with options of bay or golf course view and one, two or three bedroom floor plans. This historic condo has stood the test of time and is indeed a unique place. Bayshore has undergone numerous upgrades and updates which gives this well know Pensacola condominium a fresh new look and feel. Some of the recent changes include the newly painted exterior. The paint scheme reflects the original design yet makes a bold statement with its turquoise sections. The interior foyer and hallways now have lighter shades of paint and new carpet. The landscaping is all new as is the lighting out front, and the pier now has a kayak lift. These are just a few of the updates underway. If you have not been here lately, it is worth a visit. Residents enjoy the many amenities including two beautiful community rooms, large back patio, pool, pier, sandy beach, workout room, on-site manager and 24-hour doormen. The Bayshore is not just a condo, it is a community and place that residents are proud to call home. The Bayshore has a full staff on board to care for the property as well as the residents. The onsite manager sees to the day-to-day operations of the building and is there when you need him. The 24-hour doormen provide security and assistance when needed, and the maintenance and janitorial staff keep things tidy and in good working order. There is a relaxed community atmosphere to the place. 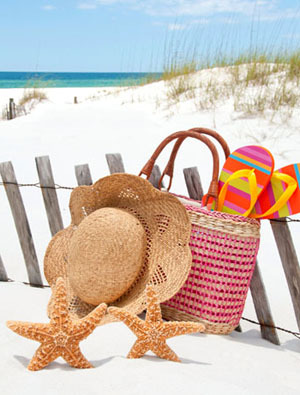 It is the kind of place where you know your neighbors and share holidays together. See the Bayshore blog for community updates and information. Find out the value of your Bayshore Condominium – Ready to sell? Dawn is your choice. She has a long history of sales in the building and has a strong listing background with a top notch marketing plan. Call her today for a detailed market price evaluation of your condo, 850-232-3722. Contact Dawn if you would like additional information regarding any aspects about this well-liked Pensacola landmark.